Michigan law requires that, after October 1, 1999, if a hearing officer grants a restricted license, it shall include that an ignition interlock be installed in an vehicle the petitioner intends to drive. This restriction is also added to the petitioner’s master driving record. The Secretary of State will not issue a restricted license until a certificate that the ignition interlock has been installed in the automobile. Unless otherwise specified, the license restrictions are indefinite, but the interlock requirement will automatically expired after one year from the date the Secretary of State issued the license or longer if there was a violation. If there is a need to drive a company vehicle, then the ignition interlock must be placed on that vehicle too. Violations for the ignition interlock device are divided into “minor” and “major”. Minor violations result in a three month extension of having the interlock device. Major violations result in a reinstatement of the revoked/denied status. 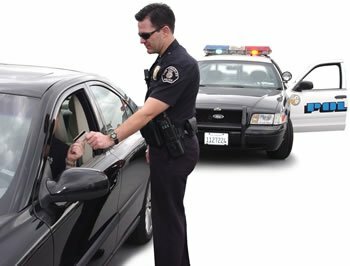 Some examples of major violations are: tampering with the device, removal of the device, 3 minor violations within the monitoring period, a retest failure and being charged with drunk driving. The ignition interlock providers will provide reports to the Secretary of State and the driver. It is important that the petitioner bring that documentation to the next hearing. Issues of driver license restoration and ignition interlock devices are not something a person should do on their own. There are limitations on how often a person can seek a license restoration or restriction. Therefore, it is important to use every opportunity to its utmost. Lewis & Dickstein, P.L.L.C. are highly experienced Michigan drivers license appeal attorneys. Our attorneys have vast experience in handling all types of driver license issues in across Michigan. Driver license appeal attorneys have varying degree of knowledge on how the administrative process at the Secretary of State works. It is important that you have the best Michigan drivers license appeal attorneys represent you at the Secretary of State to get you back on the road. Call Lewis & Dickstein, P.L.L.C. at (248) 263-6800 with any questions you may have. We offer a free consultation and we are not afraid to win!